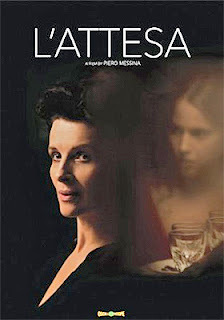 Sicilian filmmaker Piero Messina made the move from award-winning short films to the feature-length arena with L’attesa — which was filmed on his home turf in exquisite tones by cinematographer Francesco Di Giacomo — in September of last year when it opened at the Venice Film Festival (scoring a trio of laurels for Messina as a filmmaker and a Golden Lion nomination for the film itself). 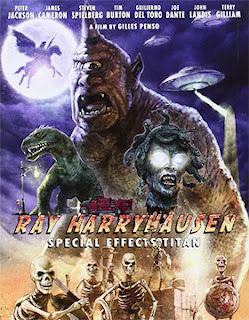 Word arrived this past week that Oscilloscope Laboratories will be offering the film to the domestic DVD market place beginning on July 26. Between now and then, L’attesa will continue to work the arthouse circuit, garnering media exposure and consumer awareness in the process. The ARR works out to 88 days and tickets currently stand at $41,362 — DVD affords the film a wider reach, especially for those out in the ‘burbs who lack access to major metro arthouse venues. Oscar-winner Juliette Binoche (The English Patient … also nominated for Chocolat) stars as Anna in this film adaptation of Nobel Prize-winner Luigi Pirandello 1920s play, “The Life I Gave You.” Her Italian husband bequeathed her a lavish villa near Mount Etna, on the eastern shore of Sicily and it is here that she comes with a heavy heart. Awaiting her there is her son’s fiancé/girlfriend, Jeanne (Lou de Laâge — Breathe, as Kitty in 2013 Anna Karenina mini-series, etc.) … and, together they will await his arrival and use the time to get to know each other. Or so it seems. In actuality, her son Giuseppe (Giovanni Anzaldo) has died (foreshadowed in the opening sequence), but Anna cannot bring herself to acknowledge this. It’s a bit tricky, but Anna keeps her son alive — metaphorically speaking — by sharing memories and stories with Jeanne, who is kept in the dark about his fate. Constant calls to his cell phone go unanswered, only messages from before the tragedy remain. 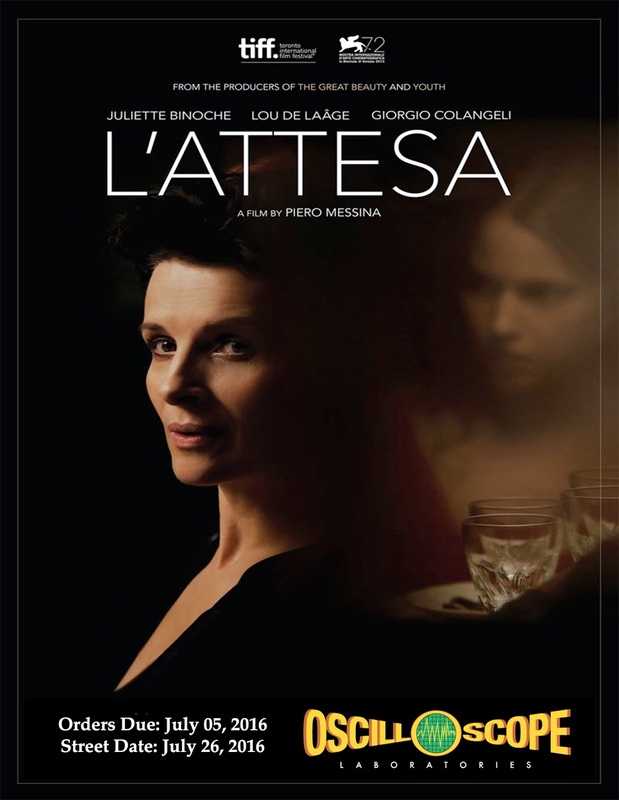 L’attesa becomes a dance of loss; of despair, that must, at some point, come to an end … but delayed in its finale as long as possible. L’attesa is presented in Italian and French with English subtitles. 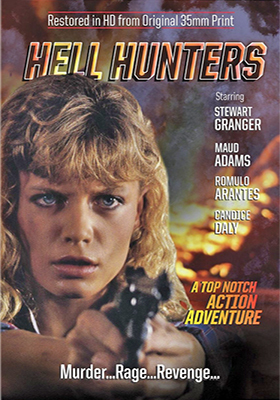 The Film Chest Media Group is poised to deliver a new HD restoration (from the original 35mm print) of director Ernst R. von Theumer’s Hell Hunters on July 5, an all-action 1986 thriller featuring runaway Nazis, Nazi hunters, spider venom, zombies, murder and revenge. Deep in the jungles of the land-locked South American country of Paraguay lives a crazed Nazi scientist, Dr. Martin Hoffmann (Stewart Granger), who has taken refuge there, and with his able assistant Heinrich (George Lazenby), continues his insane research. As the story unfolds, a breakthrough has been achieved and a mysterious concoction of spider venom has been developed by Hoffmann and Heinrich that shows promise of being a powerful mind-control drug — a new Nazi zombie army is potentially at hand! However, a Nazi-hunter by the name of Amanda (Maude Adams) has seduced Hoffmann’s nephew and tricked him into marrying her. That brings her face to face with her target in his jungle lair! Sadly, Amanda’s mission is discovered and her fate is sealed. Hoffman is a man without mercy; a killer without remorse. Has Hoffman once again escaped justice? Will his plan to put his spider venom to work go unthwarted … and Los Angeles is his proposed test site. Or, will Amanda daughter, Ally (Candice Daly), find a way to put her mother’s network back together again, exact her revenge and finally bring this evil Nazi to justice? 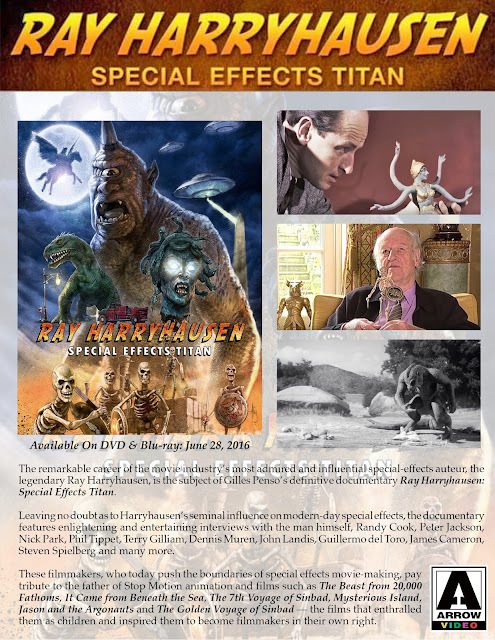 Arrow Video, with sales and distribution support provided by MVD Entertainment Group, will have both DVD and Blu-ray editions of documentary filmmaker Gilles Penso’s Ray Harryhausen: Special Effects Titan available for cinema fans to enjoy on June 28 (which is one day before his birthday — born June 29, 1920)! 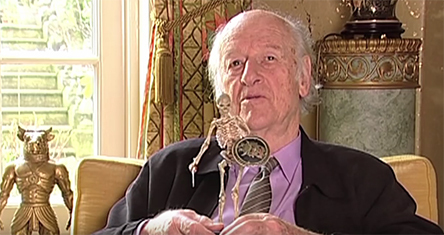 The undisputed king of special effects during the 1950s and 1960s was the late Ray Harryhausen. He had learned his craft from the best technicians of the day, including Willis H. O'Brien and George Pal, and began his legendary run of film successes in 1953 with The Beast from 20,000 Fathoms. Over the next two decades he would deliver such cinematic visions with his work in such films as Earth vs. the Flying Saucers, 20 Million Miles to Earth, The 7th Voyage of Sinbad, Jason and the Argonauts and The Golden Voyage of Sinbad. But more than just the films themselves, his work inspired and influenced two generations of filmmakers — many of which are interviewed and featured in Penso’s presentation of Harryhausen’s amazing — and innovative — career. Included in the mix are the likes of James Cameron, John Landis, Guillermo del Toro, Terry Gilliam and Peter Jackson. Bonus goodies include 12 additional interviews (outtakes), deleted scenes, a featurette titled “On the Set of Sinbad,” a pair of Q&A sessions and a trailer reel. Writer/director Jason Davitt will see his feature-length take on the continuing struggles of the 1,500 year-old vampire, Lucas Delmore (Rhys Howells) — and the aftermath of his disastrous seduction of Toby (Dan Briggs) — take wing (on DVD, that is) courtesy of Ariztical Entertainment this coming June 28. 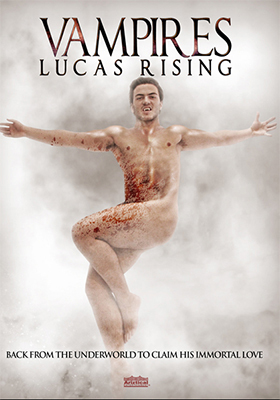 Titled Vampires: Lucas Rising, this follow-up to Ariztical’s 2012 hit release of Vampires: Brighter in Darkness, finds Lucas continuing his search for his eternal lost love, which is compounded by the challenge of Lilith (Abigail Law-Briggs), the queen-mother, who is hell-bent (literally) on raising an army of vampires. His friend, Mikal (Turan Duncan), pleads with Lucas for help, but his longing for the love of his eternity could be his undoing — the all-powerful Lilith has the perfect source (supply) for her plan and Lucas will be hard-pressed to undo her evil plans. MVD Entertainment Group teams with documentary filmmaker Tony D’Annunzio on Friday, June 10, for the DVD debut of Louder Than Love: The Grande Ballroom Story. Legend has it that Detroit DJ Russ Gibb paid a visit to Bill Graham's Fillmore in the mid-sixties and had something of an epiphany. There was this old dance hall from the 1920s on Grand River Avenue — out near Joy Road (how appropriate) — that might just be available. 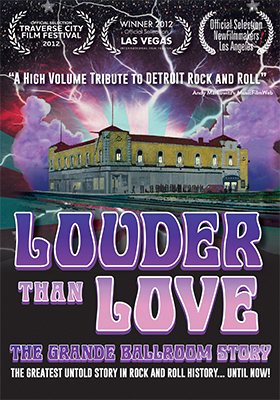 The Grande Ballroom as a Michigan rock venue was born … for six glorious years the likes of Janis Joplin, Pink Floyd, The Who and Led Zeppelin would give legendary performances. And then, sadly, the magic was gone, but the memories of those who performed there lives on. Filmmaker Tony D’Annunzio captures those moments through interview sessions of those who worked there or played gigs at the famed music venue. Sharing their memories of the “Grand – eee” include the likes of Alice Cooper, Rober Daltrey, Ted Nugent and more … plus vintage clips, archival footage and photographs pepper the proceedings. This is a rock ’n roll trip down memory lane that is presented by D’Annunzio as a true labor of love (three-and-half years in the making). 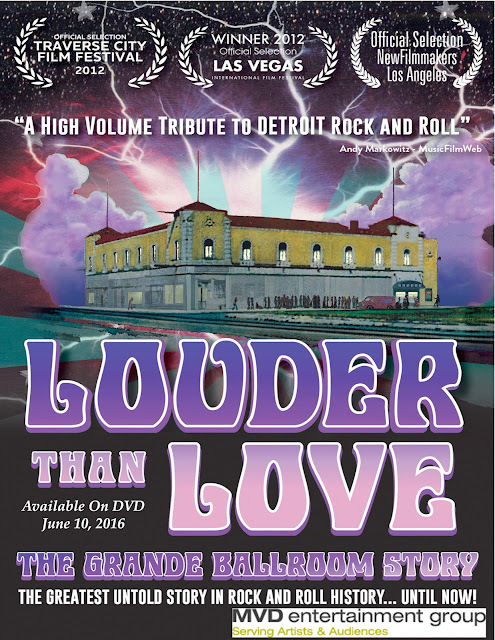 So mark June 10th on your viewing calendar as Louder Than Love: The Grande Ballroom Story is well-worth a look-see, especially for music fans. Warner Bros. Home Entertainment was busy this past week with a plethora of street date assignments for TV series heading to both DVD and Blu-ray. This is usually a sign that the decks are being cleared for some major theatrical release news — Batman v Superman: Dawn of Justice immediately springs to mind. The first in the group — chronologically-speaking — is The Vampire Diaries: The Complete Seventh Season, which will be available as a five-disc DVD set or as a three-disc Blu-ray collection. 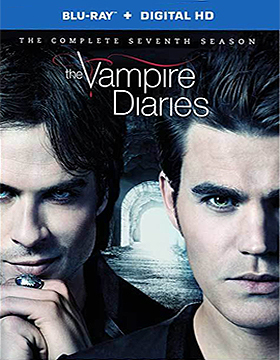 All 22 episodes are featured along with a gag reel, deleted scenes, the featurette titled “Directing Vampires” and the 2015 Comic-Con Panel (where did the time go … the 2016 edition draws near — July 21st through the 24th). 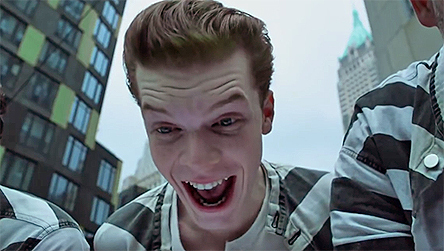 Also streeting on Aug. 16 is Gotham: The Complete Second Season, which is configured as a four-disc Blu-ray set (with UltraViolet Digital Copy) and a six-disc DVD package. 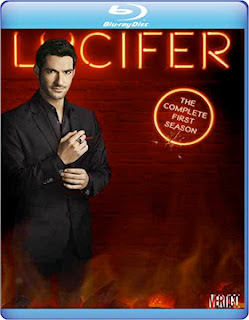 The following week, Aug. 23, the fanciful “detective” series, Lucifer: The Complete First Season will be available as both DVD and Blu-ray sets (both three-disc arrays). Satan (played by Tom Ellis) gets tired of the same old hellish things and decides to take some time off and open a piano bar in the “City of Angels.” Seriously, that’s what the devil is up to these days … but even that bores him, so he teams with detective Chloe Decker of the L.A.P.D. to help bring criminals to justice. They keep busy for 13 episodes … and will be back for a second season. Who knew! Shifting to after Labor Day, Warner Bros. Home Entertainment has tabbed Sept. 20 as the release date for The Originals: The Complete Third Season. Planned are a five-disc DVD package and a three-disc Blu-ray product offering. 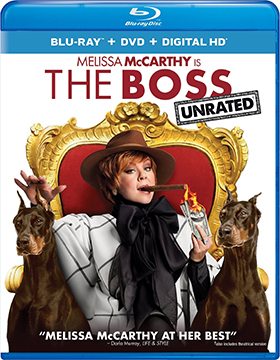 Bonus features include the featurette titled “Charles Michael Davis in the Big Easy,” deleted scenes, a gag reel and, yes, footage from the 2015 Comic-Con Panel. Universal Pictures Home Entertainment will have DVD and Blu-ray/DVD Combo Pack editions of Melissa McCarthy’s latest comedy hit, The Boss, ready for retail on July 26. The ARR works out to 109 days and ticket sales for McCarthy’s full-length “Michelle Darnell” onslaught were a tasty $62.3 million.